"Mini-correspondents represent an important step in the broker-to-banker transition process," said Titan President Mary Kladde. "The CFPB's guidance is designed to preserve the sanctity of this designation, and Titan is equally as committed to supporting this vital channel, as it has always done, through our general fulfillment services." DENVER, Colo., Sept. 11, 2014 (SEND2PRESS NEWSWIRE) — Mortgage fulfillment outsource services expert Titan Lenders Corp. (Titan) announced it will conduct a weekly webinar series designed to educate mini-correspondents on meeting Consumer Financial Protection Bureau (CFPB) requirements through general fulfillment. On July 11, the CFPB issued its “Policy Guidance on Supervisory and Enforcement Considerations Relevant to Mortgage Brokers Transitioning to Mini-Correspondent Lenders,” which outlines the criteria the CFPB would use in evaluating mortgage transactions executed under the “mini-correspondent” designation. The CFPB issued this guidance in response to concerns that brokers were adopting the “mini-correspondent” designation in name only to avoid the broker compensation rules passed earlier this year. The first of these webinars is scheduled for Wednesday, Sept. 17, 2014 at 12:00 p.m. EDT. Interested parties can register for the webinar http://goo.gl/F032GH. * Thursday, Oct. 15 at 3:00 p.m. EDT. 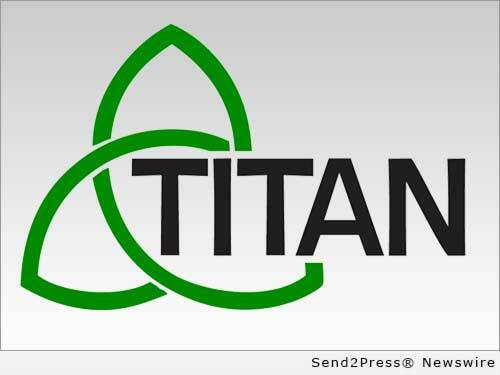 Titan backs these endeavors through a web-based production software platform which supports a full suite of fulfillment services, including: funding, compliance, closing, post-closing, purchase review for correspondents and warehouse lenders, trailing documents, MERS management, FHA insuring, and document management (imaging). The software platform’s flexible rules-based architecture allows Titan clients to define field level decision trees, priorities, checklists and process management specific to an investor product variance or a cross-investor climate. Original Keywords: Mary Kladde, CFPB, Consumer Financial Protection Bureau, Mortgage Brokers. Mini-correspondents, mortgage compliance, Denver news Titan Lenders Corp. Denver Colorado DENVER, Colo.
REFERENCES: Banking News, Mary Kladde, CFPB, Consumer Financial Protection Bureau, Mortgage Brokers. Mini-correspondents, mortgage compliance, Denver news Titan Lenders Corp. Denver Colorado DENVER, Colo.